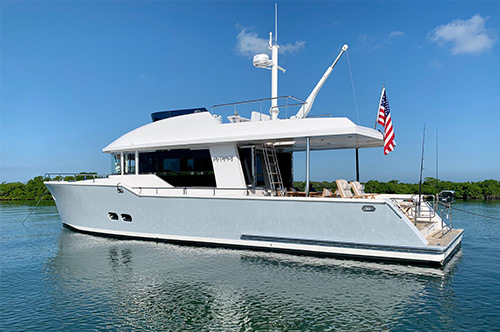 In its 60-year history, Broward Marine developed a reputation for building custom yachts that appealed to the most discerning yachtsmen. 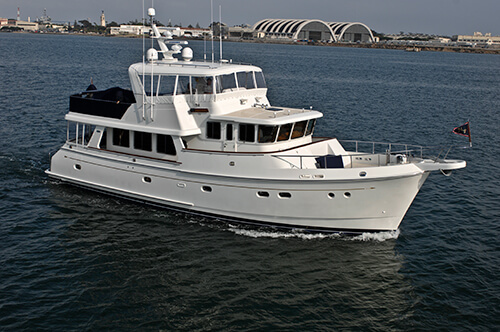 The Broward teams designed and built yachts that were respected for their efficient hulls and seaworthiness. 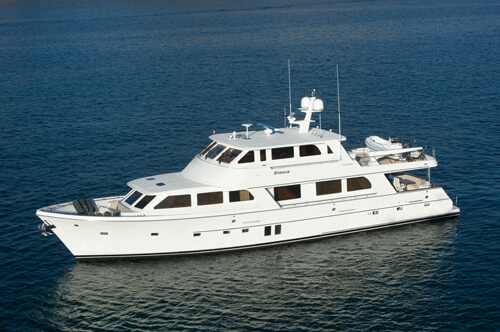 In 1999, ownership changed hands and the company was renamed to Broward Yachts. Broward’s reputation for quality endures today. 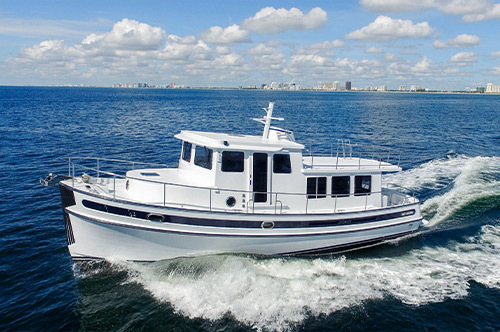 Broward Marine was established by Frank Denison, in 1948, on the site of the former Dooley's Basin & Dry Dock Company, which had been organized in 1937 for the war effort and which had closed after the war. The yard was located where Lauderdale Marine Center is now, on the New River, just east of I-95: see it from the air on Google here. The Saugatuck yard was started in 1977, on the north bank of the Kalamazoo River, close to its outlet into Lake Michigan. (That huge house on the beach just west of the Saugatuck yard was built by Denison for his own use.) Ownership of the company changed hands in about 2000 and the new owners, called Broward Yachts, closed both yards and moved construction to a yard in Dania Beach, just south of Port Everglades, in Broward County. The new company failed in the Bush recession of 2009 but the yard is still going as a refit/repair facility, now under the name Broward Shipyard.